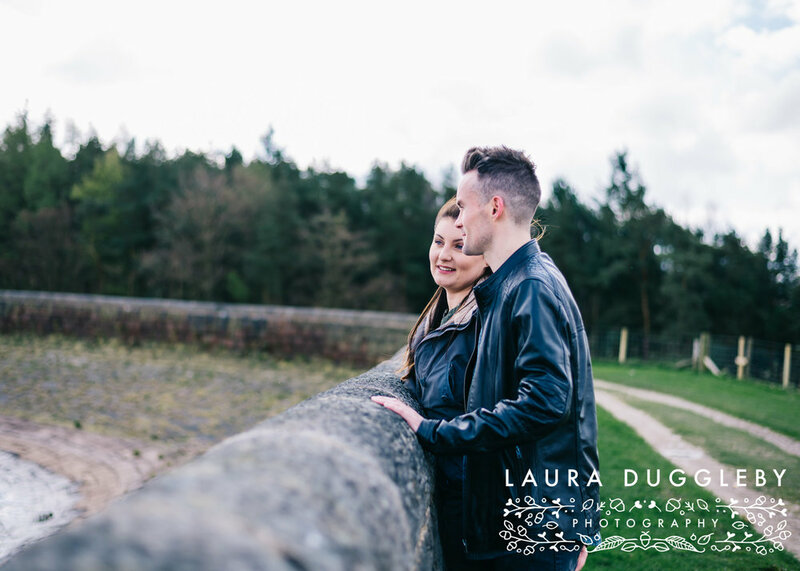 Sherry and Simon are getting married in a few weeks at the epic Holmes Mill in Clitheroe. 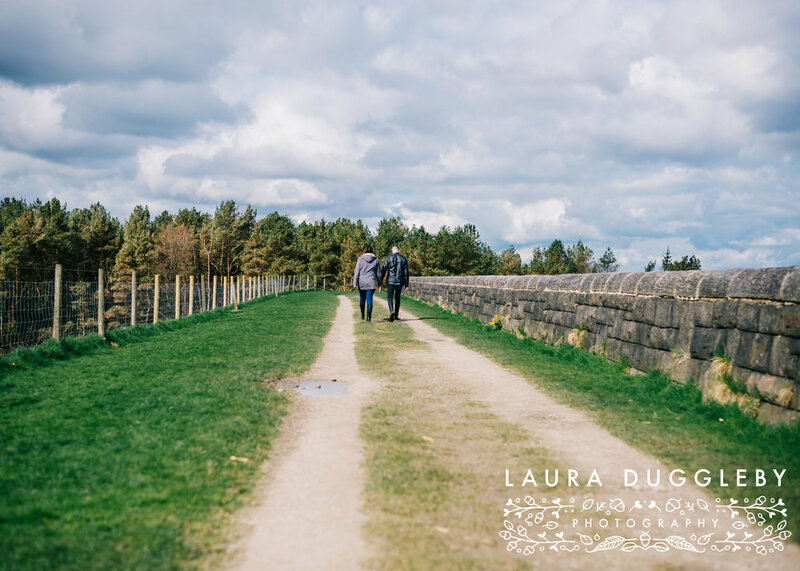 I'm so looking forward to their Lancashire wedding as not only do I LOVE the venue, but I really like them too :-) they are a fabulous couple and you can genuinely see how much they love each other! 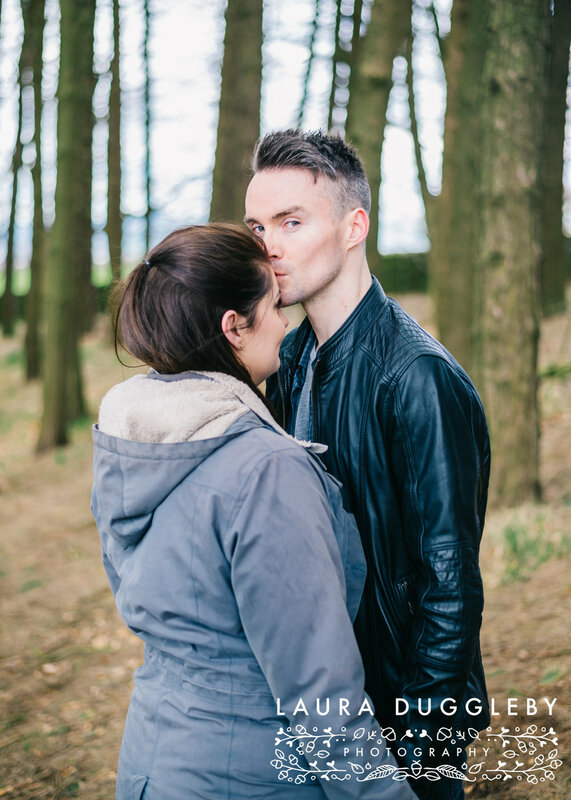 When Sherry and Simon booked me for their wedding photography they also booked an engagement shoot. This is a really good idea if you or your partner are a little camera shy. We wander around a location of your choice and chat about everything wedding wise and anything else in-between!! These sessions are really relaxed and informal, just like any of my other shoots. 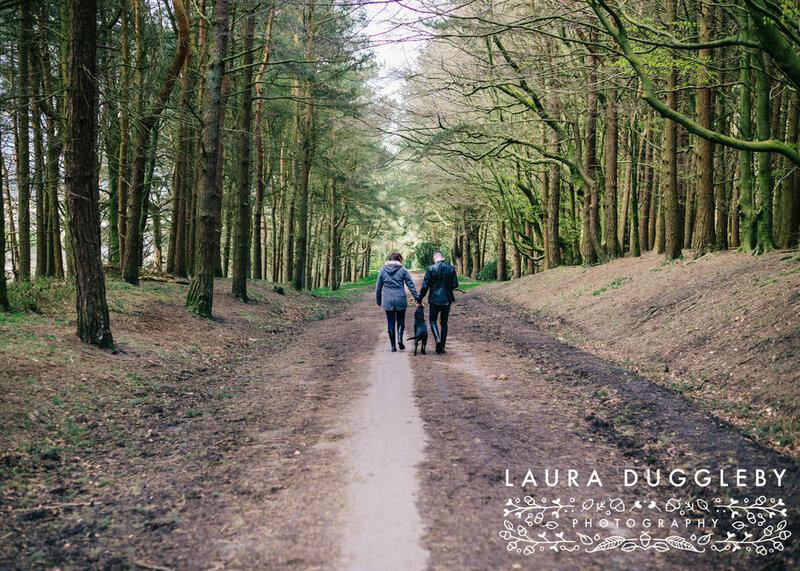 Sherry and Simon chose Hurstwood as its somewhere they come regularly to with their gorgeous puppy Frankie. We met on a sunny (but windy) Sunday morning and had a lovely time just walking around the reservoir and into the woodlands. 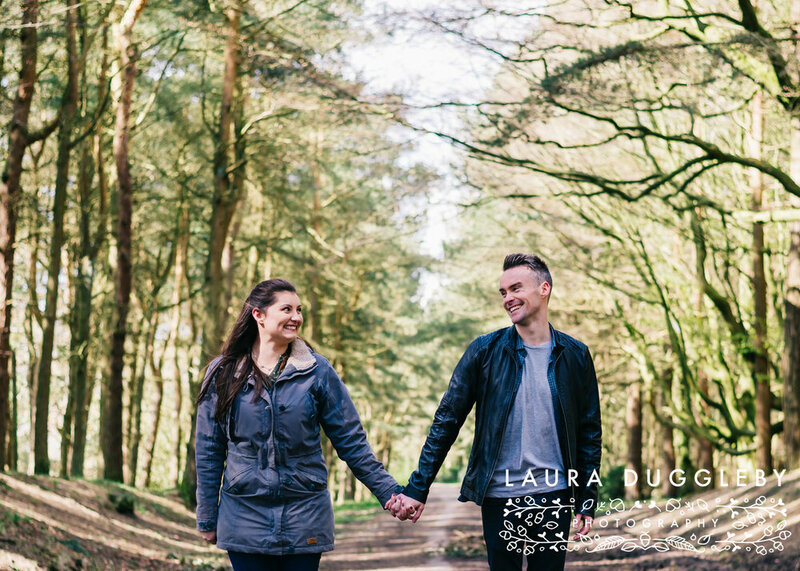 Sherry and Simon are total naturals in-front of the camera....just see for yourself in my favourite images below! !